Telescopes around the world have joined forces to try to provide us with our first photograph of a black hole. That's still a few months off, at least, but all that staring at a black hole is already starting to produce results. In 2013, the Atacama Pathfinder Experiment (APEX) radio telescope in Chile joined the global telescope collective that makes up the Event Horizon Telescope (EHT), to take observations of Sagittarius A*, the supermassive black hole at the centre of our galaxy. And it almost doubled the longest baseline length in the array, leading to observation of the finest details yet of the space right around the event horizon of this black hole. 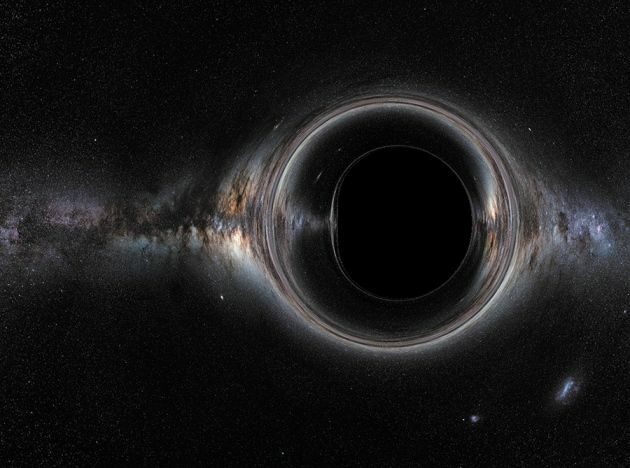 Now, we can't actually see black holes. They're thought to be incredibly dense collapsed stars with a gravitational pull so strong that nothing, not even light, can escape - and if there's nothing coming out of them, we can't detect them. 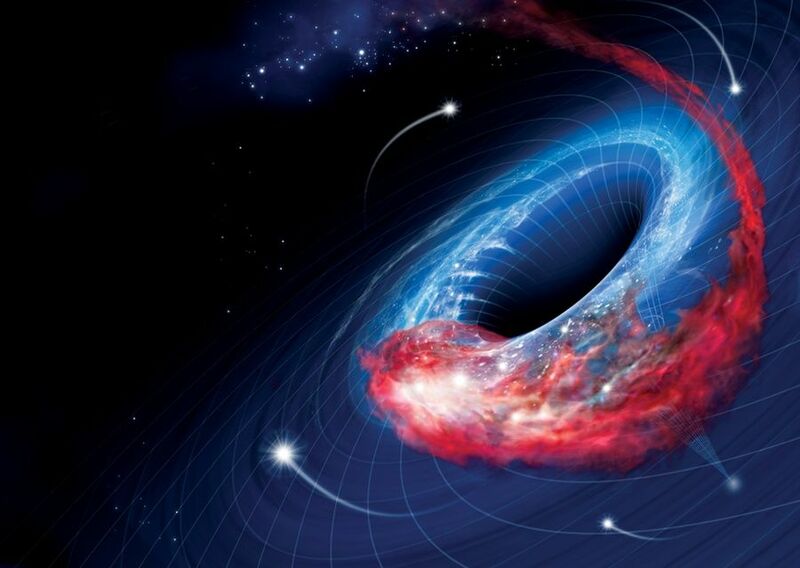 What we can detect is the space around them, along with matter as it falls into the black hole's gravitational tug, forming a swirling accretion disc that glows with the intense heat of friction. However, at a certain distance from the black hole, there is no escape, and everything falls in. Even light. This point of no return, where the escape velocity is higher than light speed, is called the event horizon, and this is what the Event Horizon Telescope is trying to photograph. Some black holes are absolutely immense, like Sagittarius A*, which is millions of times the mass of the Sun. These are way bigger than any stars that we know of, and astronomers are not quite sure how they form. But a bigger object means it's easier to see - and that's why the EHT is looking at the closest one we know. The 2013 observations of Sagittarius A* narrowed down the resolution to just three Schwarzschild radii - one of which equals the radius of the event horizon, or the hypothetical size of the black hole - revealing details as small as 36 million kilometres. 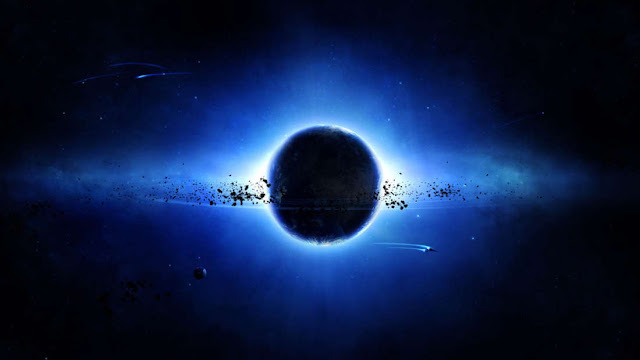 This may seem huge - after all, Earth is 150 million kilometres from the Sun - but it's smaller than the expected size of the accretion disc, and has allowed astronomers to start figuring out the event horizon's structure by working out models and applying them to the data. 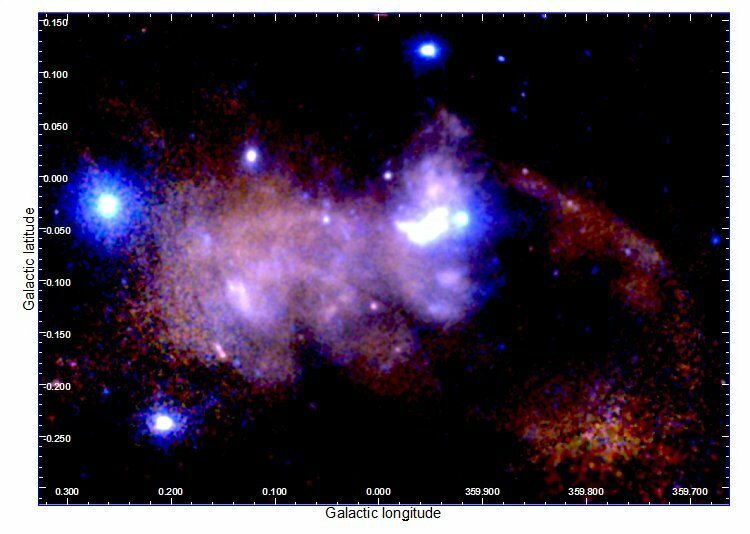 "We started to figure out what the horizon-scale structure may look like, rather than just draw generic conclusions from the visibilities that we sampled," explained astronomer Ru-Sen Lu of the Max Planck Institute for Radio Astronomy. "It is very encouraging to see that the fitting of a ring-like structure agrees very well with the data, though we cannot exclude other models, e.g., a composition of bright spots." So it's looking like the structure of the space around the event horizon of Sagittarius A* could be shaped like a giant doughnut around the black hole. Which could explain why it gets so hungry. Of course, the data isn't detailed enough yet to draw any firm conclusions. Future observations by the EHT will get more data in order to build up a more comprehensive picture. But, so far, this is pretty exciting stuff. "The results are an important step to ongoing development of the Event Horizon Telescope," said Sheperd Doeleman from the Harvard-Smithsonian Center for Astrophysics and director of the EHT. "The analysis of new observations, which since 2017 also include ALMA, will bring us another step closer to imaging the black hole in the centre of our Galaxy."